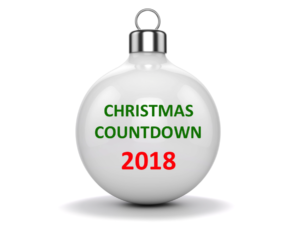 Christmas Countdown 2018It’s CHRISTMAS COUNTDOWN 2018 here on GUWG, where from now until December 25 we’ll be preparing for the arrival of the Savior of the World. Imagine for a moment that you’re an alien. You’re dropped off on Planet Earth right now and asked to report back on a phenomenon known as “Christmas.” What do you see?